Remember when you vacationed in Cape Cod and ran into Bob from accounting? And then, next year, when you vacationed in Myrtle Beach and ran into him again? Well, you might have a more serious problem, but you also might want to try going somewhere a little more remote to get away from it all. "All" meaning Bob and his ilk. To wit, we drew up this list of some of the most remote vacation spots on the planet. A few are difficult to get to, many are the only inhabited spot for miles, and all of them are sure to get you far away from your usual haunts. What's the deal? Alice Springs is at the center of Australia, and much like the middle of a Hot Pocket, it gets extraordinarily warm, but is ultimately worth the pain it causes. The surrounding outback is dry, red, and dusty, and there's precious little surface water here, but there are few more surreal landscapes on Earth. The individuals who live in the outback have plenty of stories about the area's history, and a stay in Alice Springs can be the perfect getaway for folks who want to reconnect with their sense of awe. 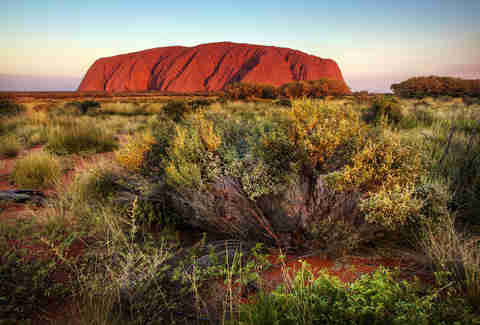 Outside the city, you can go hot-air ballooning, do some motocross, or check out Uluru (Ayers Rock)... which is the closest well-known landmark, at six hours away. How remote is it? It’s Antarctica, bro. How many people do you know who've been to Antarctica?! What's the deal? OK, so you can't actually, like, stay in Antarctica (for the most part -- we're looking at you, McMurdo Station scientists!) But there are plenty of (sorta expensive) cruises that can take you down to the Antarctic Peninsula, which is, by all accounts, the most touristy part of the continent, if only because the rest of it is completely covered in miles of hazardous ice. There are loads of penguins, whales, and seals, no actual civilization, and plenty of opportunities to act out that weird Titanic fantasy of yours. How remote is it? This sub-Arctic archipelago was only connected to mainland highways as recently as 2007, where before it was only accessible via ferry, and small tunnels & bridges, all of which were controlled by mythical trolls. What's the deal? 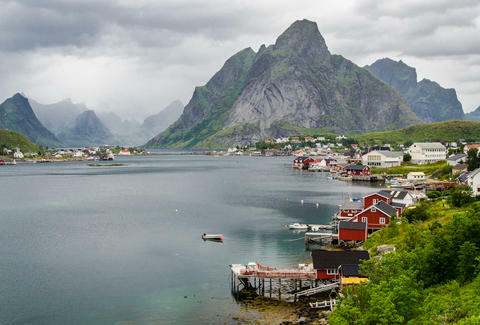 Like normal Norway on weird steroids, the craggy peaks and picturesque fishing villages on the islands of Lofoten will make you wonder how the rest of the country has such a high percentage of angry death-metal bands. Some of the smaller islands in Lofoten still remain relatively untouched and wild, and despite the fact that the entire area is north of the Arctic Circle, the climate is comparatively balmy due to the Gulf Stream (thanks, Gulf Stream!) And you know what's REALLY great? 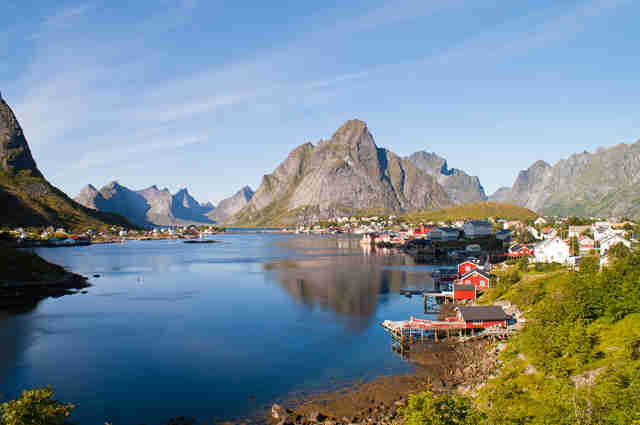 Lofoten only has a population of about 25,000 total, spread across five different villages, so you're pretty unlikely to bump into someone from work while you're hiking, whale watching, etc. What's the deal? Tierra del Fuego, or Land of Fire, isn’t just your name for your in-laws’ place -- it’s also one of the most starkly beautiful landscapes in the world, located right on the southern tip of South America. 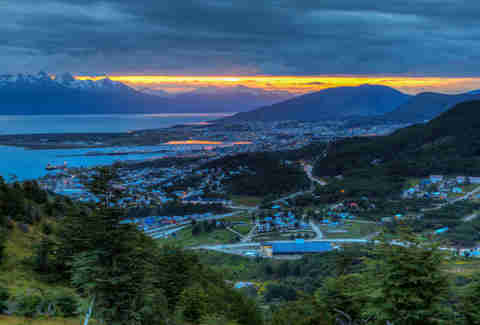 Ushuaia, the capital of the Argentinean part of the region, is the southernmost city in the world by most accounts (with a population of around 60,000), and is the port of call for those looking to navigate the craggy fjords of the surrounding area. You want remote? 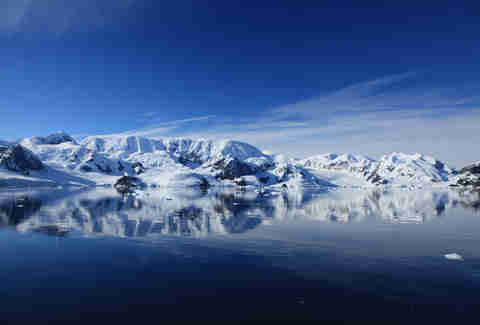 This is the closest you can get to Antarctica and still be within civilization... if you're into that kinda thing. What's the deal? 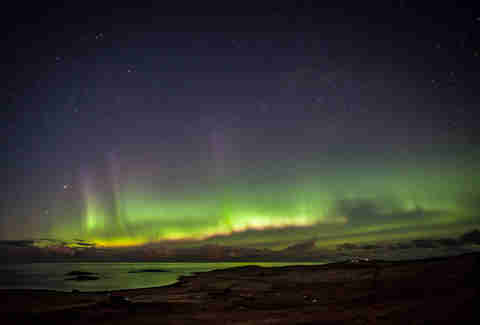 Whereas a lot of the rest of Scotland experiences regular tourism, Shetland is still pretty tucked away, and has its own culture that mostly resembles Scottish with a hint of Norwegian thrown in. Therefore, many visitors may find the local dialect a wee bit on the more difficult-to-understand side, but don't let that deter you -- the myriad villages scattered across these rocky shores are charming and old fashioned, providing a glimpse into a universe few ever get to see under normal circumstances. Folk festivals and music abound, and in addition to the vibrant human communities here, there are puffins, too. PUFFINS, PEOPLE. How remote is it? OK, so it’s the fourth-largest island in the world. But you'd be hard-pressed to find a wilder, more biologically diverse place. What's the deal? LEMURS! If you've seen any children's animated movie/TV show over the past five years, you know about them. 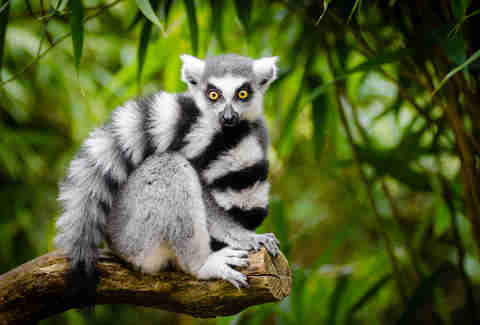 And Madagascar has them in abundance (they only exist there, actually). Separated from the mainland of Africa and with its own unique mix of African, Indian, Indonesian, and European influences, Madagascar is a huge place that can occasionally prove difficult to navigate. But if you have the ability, traveling to its many national parks and nature reserves can be extraordinarily rewarding -- both for the famous lemurs and the dramatically unique plant life. Did we mention the LEMURS?! What's the deal? There are few places on the planet as mysterious as Easter Island, famous for its giant moai statues and an insular culture. Now, the once-isolated island is a popular tourist destination, albeit a difficult one to get to -- there's only one airline operating regular flights in and out, but there are a couple of ships, if you're into the whole swashbuckling thing. Many visitors find Easter Island (or Rapa Nui) to be a spiritual place, and it’s recommended that you rent a car or a bike to best explore the island on your own, but guided tours are also available. 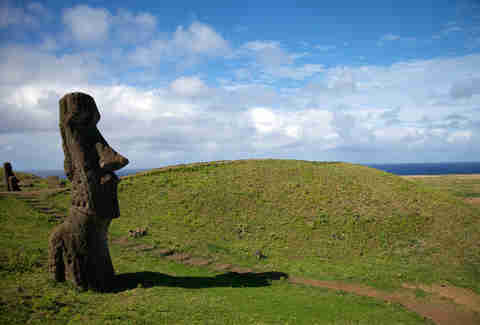 Just make sure not to disturb the moai, because not only is it considered disrespectful, but nobody's making new ones anymore. What's the deal? Except for the most seasoned and adventurous travelers, most people haven’t heard of Socotra, a small archipelago in the Arabian Sea. The main event, the eponymous island in the chain, is actually a UNESCO World Heritage Site that happens to be home to around 40,000 people who don't typically get visitors. 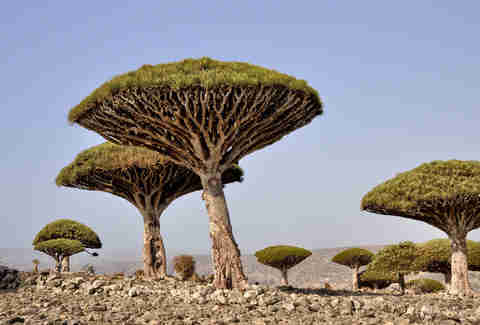 Its most famous denizen, though, is the dragon's blood tree, which dots the arid countryside and has been described as one of the most alien-looking organisms on the planet. There are only a few ways to get to Socotra, but if you're looking to rough it, camping on the shores of the island and eating fresh fish from the Arabian waters is about as far from your cubicle as you can get. Adam Lapetina is the partnerships editor at Thrillist, and plans on going somewhere other than Cape Cod this year. Read his musings at @adamlapetina.